We have a large range of art resources available. 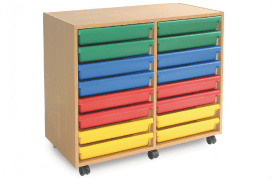 Whether it be cupboards to store your art equipment or trays to store your various paper sizes. We have it all covered. Use our filter to find exactly what you require.